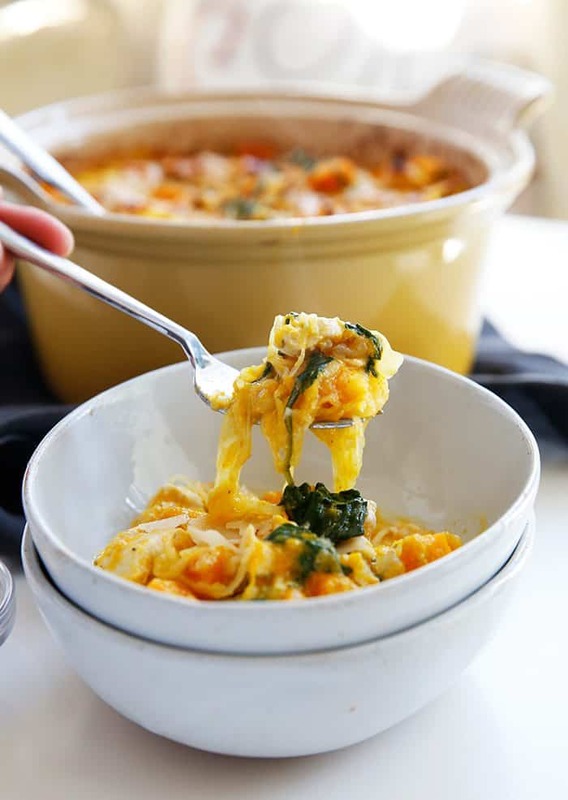 My new favorite Fall faux pasta dish is this Creamy Pumpkin Casserole. 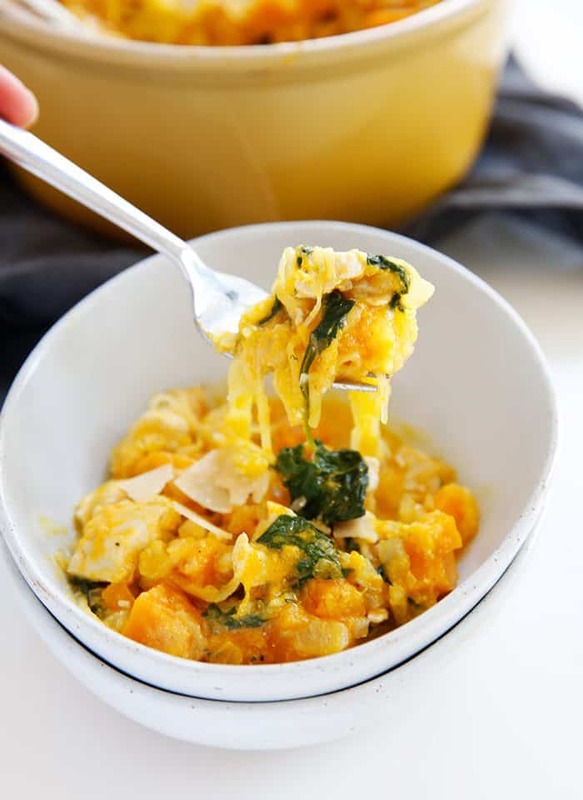 I love savory pumpkin dishes just as much as I love baked goods with pumpkin in it! 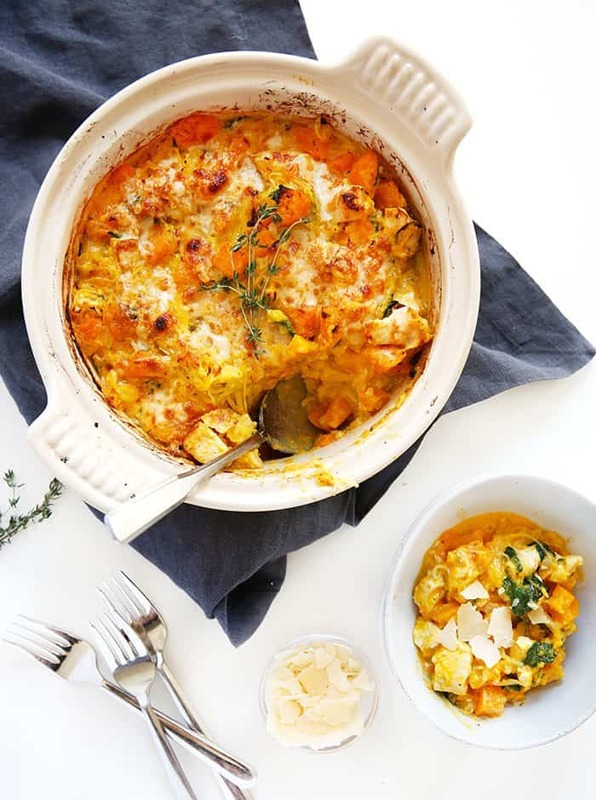 This creamy casserole has pumpkin, spinach, and chicken slathered in the most delicious sauce, then baked to perfection. I am so excited to partner with my friends at Pacific Foods to bring you today’s recipe. It’s not one you’ll want to miss! 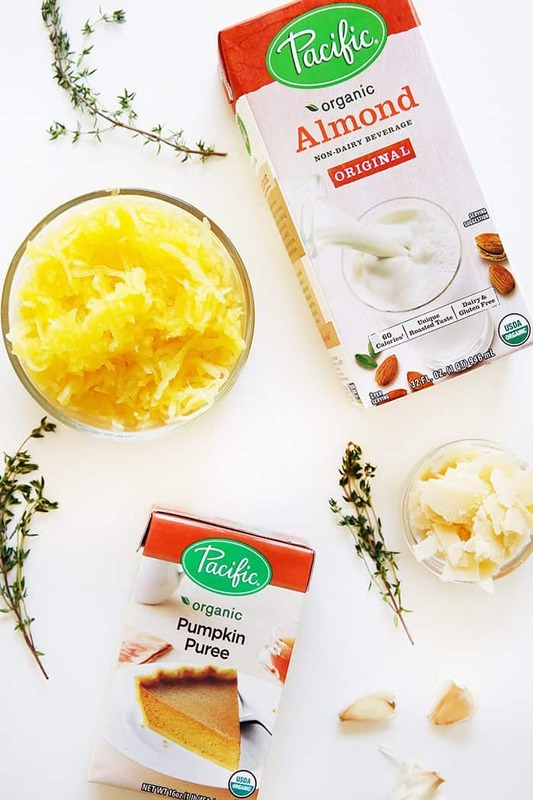 It uses both a dairy-free milk and their pumpkin puree (which is my all-time favorite), more on that below. Look at that creamy bite of heaven! 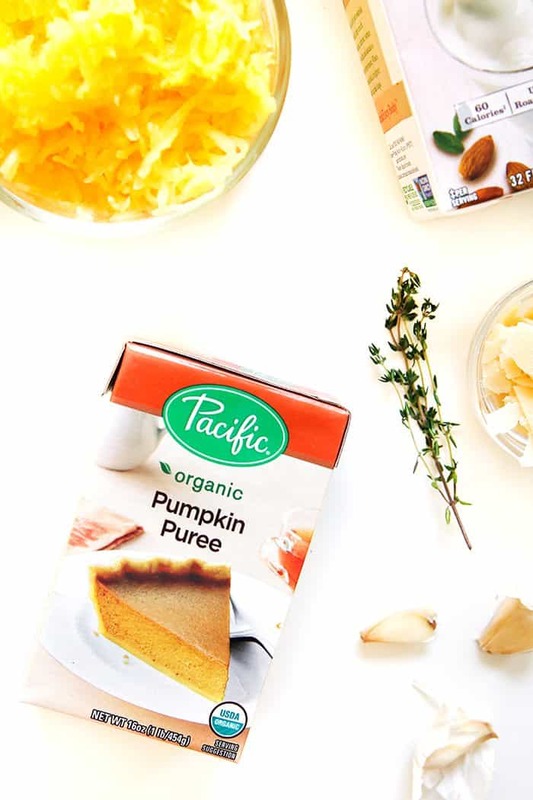 Let’s talk about pumpkin puree for a second. This pumpkin from Pacific Foods is hands down my favorite. There’s only ONE ingredient: Pumpkin. That’s it, friends, nothing added! It has a great shelf life, is smooth and delicious, and is often a great sub in cooking and baking. In my recipes that call for applesauce, I’ll often sub it for pumpkin puree for a wonderful twist! AND personally, I find easier to store versus can, if you don’t use it all! Pre-heat oven to 400 degrees°F. Cut spaghetti squash in half and scoop out seeds. Drizzle with 1 teaspoon of oil then place face side down on a parchment lined sheet tray. 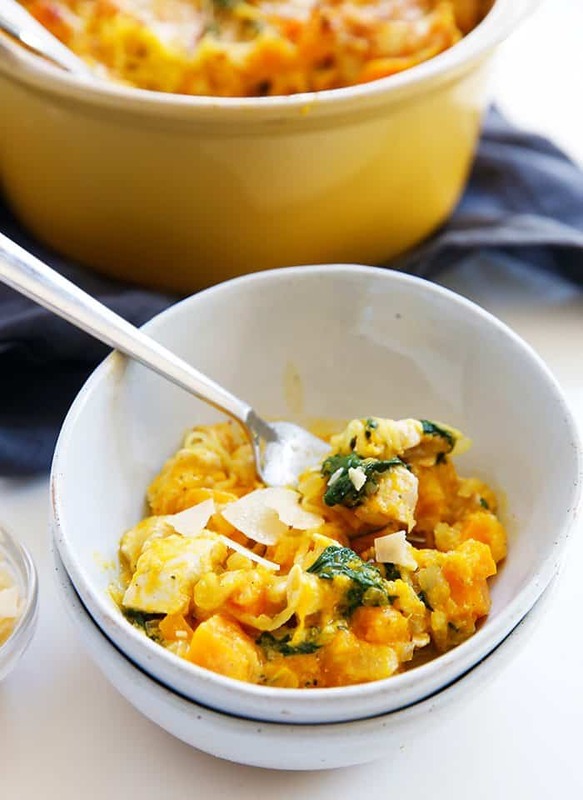 Drizzle skin of squash with 2 teaspoons of oil and add 2 tablespoons of water to the pan to make the cooking process faster. Place squash in the oven and bake for 40 minutes, turning part way through. In a small bowl mix all sauce ingredients together and set aside. In a skillet over medium heat heat 1 tablespoon oil and add onion shallots, and garlic cook for 1-2 minutes, until shallot just starts to become translucent. Add in pumpkin or squash and cook until tender, about 8-10 minutes. 4. In a separate skillet, cook cubed chicken with 2 teaspoons of oil until chicken is white, and fully cooked through. Sprinkle 1/2 teaspoon of salt and pepper over chicken. Add in 2 cups of spinach and cook for 3-5 minutes, until spinach starts to wilt. Remove from heat and set aside. 5. Take spaghetti squash out of oven, let cool. Using a fork scrape out the spaghetti squash into a greased casserole pan. Add in chicken/spinach mixture and pumpkin or squash mixture, and add the sauce. Toss to combine. Top with Parmesan if desired. Bake at 400 degrees for 10 minutes, and broil for 5 minutes. How To Cube A Pumpkin: Cut pumpkin in half. Clean out pumpkin halves, spooning out the seeds and pulp. Place pumpkin half on a cutting board. Then, using a downward motion with the knife, remove the peel in small sections. Cut peeled pumpkin into wedges, then hold wedges and cut into cubes. Wow! This seriously looks amazing. 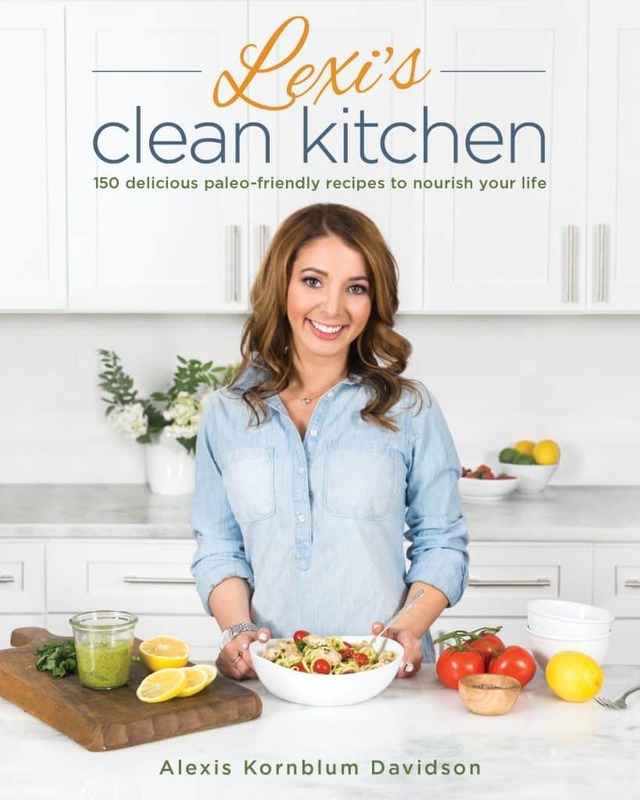 Adding to next weeks meal plan right now!! I totally knew it!!! Can’t wait to hear how you like it! OMG. Had this tonight and it was amazing. I didn’t have any chicken so I crumbled up some whole30 compliant bacon. I’ll definitely make this again. 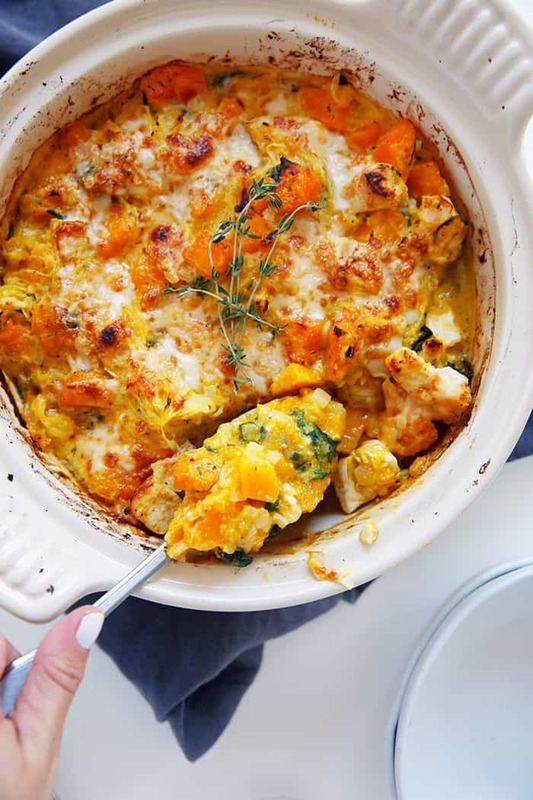 I made this for dinner tonight, with butternut squash, and it was insanely good and so easy to put together. I definitely would like to try making it with actual pumpkin to taste the difference. My boyfriend and I can’t wait to have this for our lunches tomorrow! This looks SO good! Great fall dish. I can’t wait to try it. 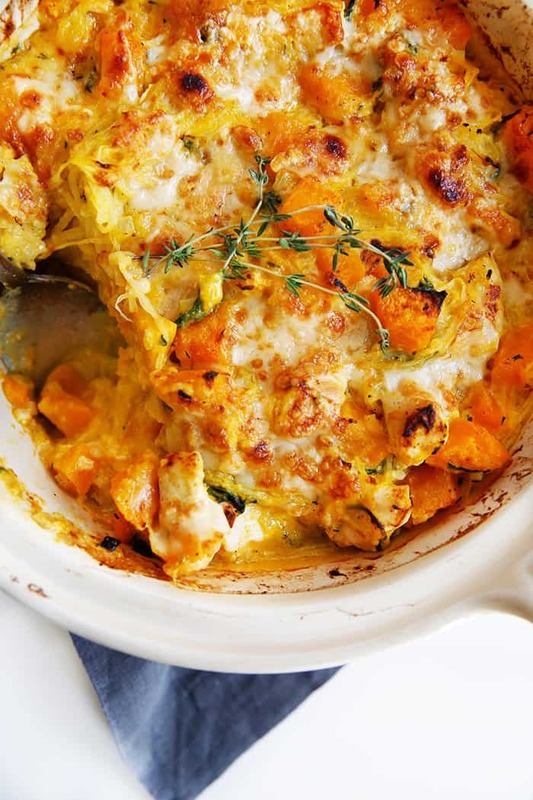 I made this tonight with butternut squash and it was phenomenal. My kids are super picky and both asked for seconds!! 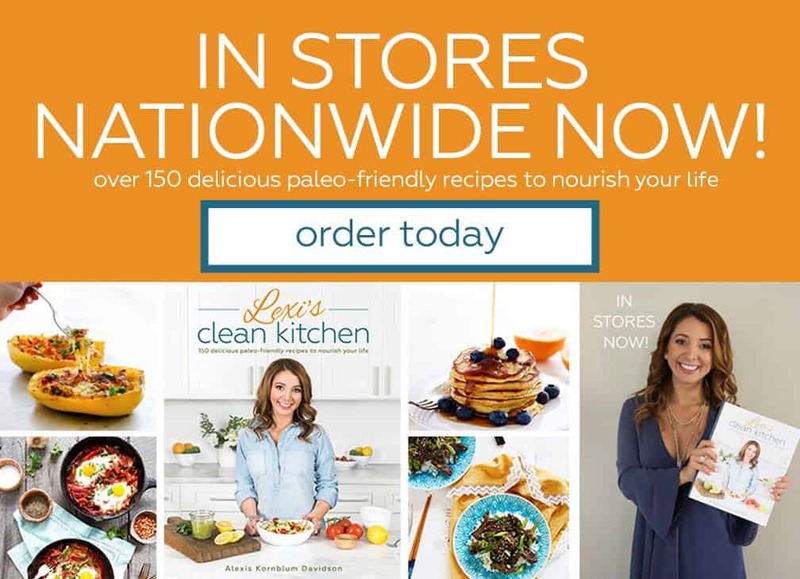 Thanks for the great recipes!!! I am SOOOO happy!!! You are so welcome! I have a billion food sensitivities and everything in mayo is basically a no. I’m also dairy free. Any suggestions for substitutions? This looks sooooooo good! Hi Colleen! You can probably do some additional dairy-free milk, but it won’t be as creamy. Do you think cashew cream (i.e. blended soaked raw cashews) might work as a substitute for mayo in this recipe? Made this for some dear friends tonight. Doubled the recipe, but tripled the sauce to make it super duper creamy. Everyone loved it! I especially loved all the different squash elements. I had to use pumpkin, because pumpkin with a pumpkin sauce sounded divine. 🙂 Thank you Lexi! I absolutely detest mayo, but this recipe looks amazing. Do you think I can substitute coconut cream? I read in an earlier comment to use extra almond milk, but I don’t want it to be watery. I am also dairy free so can’t use sour cream, etc. This is a supreme fall dish..thany you for sharing it with me..Laura..we both doubled the sauce..and I would recommend using milk..i used camels milk and it rocked it!..i also added.coconut aminos 3 tablespoons of butter and generous pink salt and extra thyme..oh and if you have a cast iron dish it comes out so perfect..oh I more thing add permesean…i suggest you just use have of the spaghetti squash and use butternut squash.. HI!! COuld I get the calories on fhis?? This should be called Fall in a Bowl, it is amazing!!!! I used acorn squash and butternut squash in place of pumpkin and swapped bacon for the chicken (because we had LCK Pecan Popcorn Chicken with it!). This was such a comforting dish without the guilt. 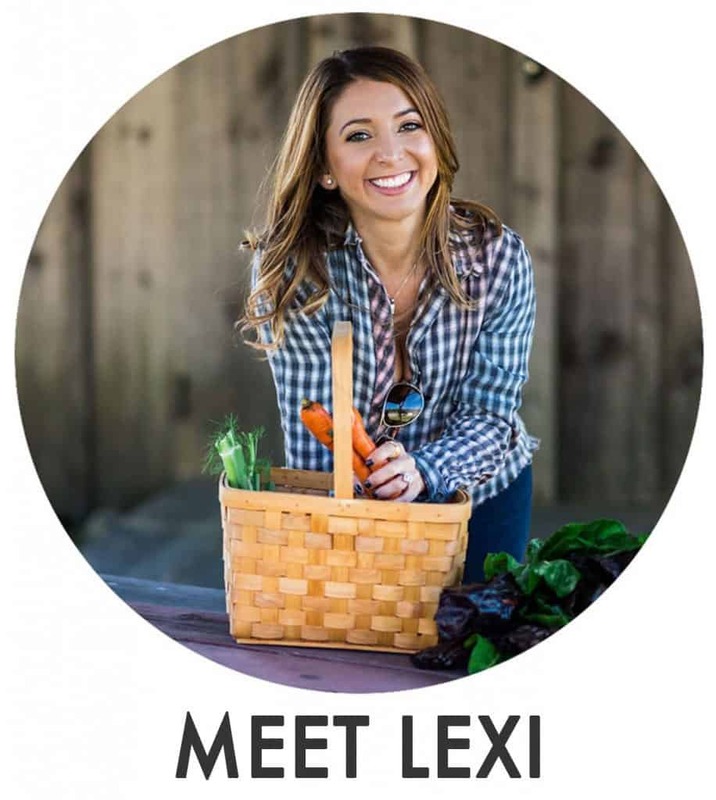 I can’t wait for the leftovers, big hit, thanks Lexi!! Is there a nutritional breakdown please?